The flies below were my contribution to a musky fly swap, thought you'se guys might get a kick out of them. The big pink and white one on the left is a hair (pun intended) over 13" and throws very nicely with an 8 wt. Nice..What are the cone looking things on the front of the flies? I think they are called fish skull or fish mask. Flymen has a product, and a few videos about it; I've taken it a step further. 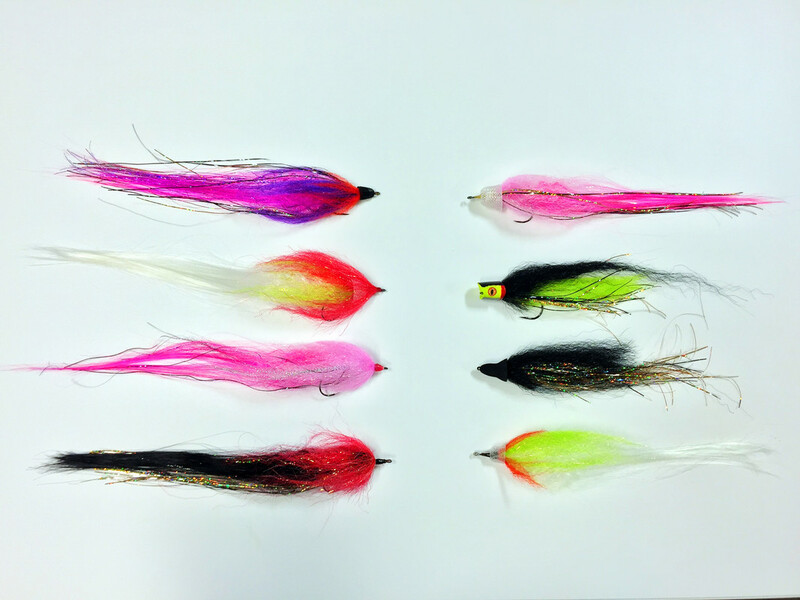 ...if you look hard at the three bottom flies on the left, you'll see the same "cone" under the front fiber...forces it to flair, holds no water, can throw it with an 8 wt., all day. I'll pop up some detail pics over the next couple weeks if you're interested. Please do, I'm interested in this stuff. Where are you getting it? ...it's the same as any of that woven tubing you can but 25' of on Amazon for $8.00. ...there are more on YouTube.